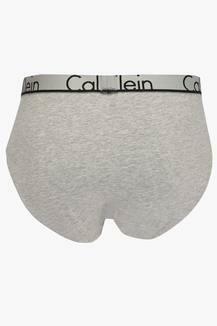 Give your innerwear collection a splash of refreshing fashion by adding this pair of briefs from the house of Calvin Klein. It comes in a slub pattern that lends it a distinct look, while the elasticised waistband promises to offer you a snug fit. Crafted from a premium quality fabric, it is also comfortable to wear. Crafted with care using a premium quality fabric, this pair of briefs will keep you comfortable all through the day. Wear it beneath a pair of jeans and trousers to enjoy a snug fit.